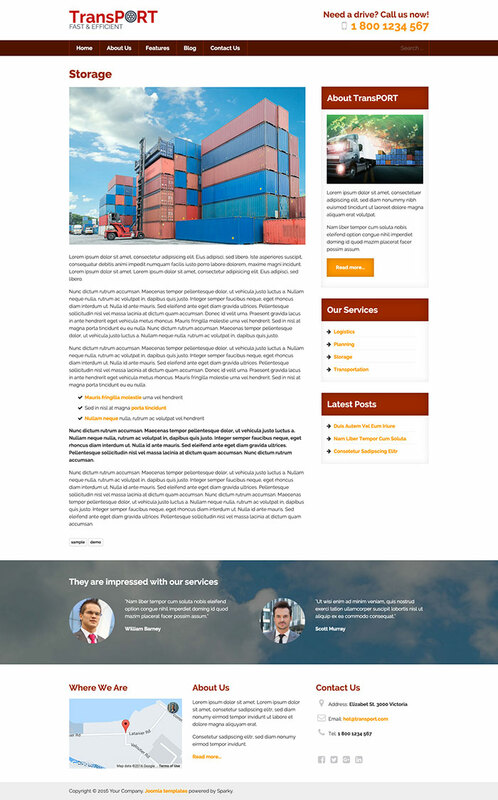 Responsive, mobile-friendly and retina-ready Joomla template appropriate for business websites. The original demo data for the Transport template are focused on the transportation, storage, logistics, and planning industry. In this template, we are introducing a new menu type in our framework - Mega Menu. 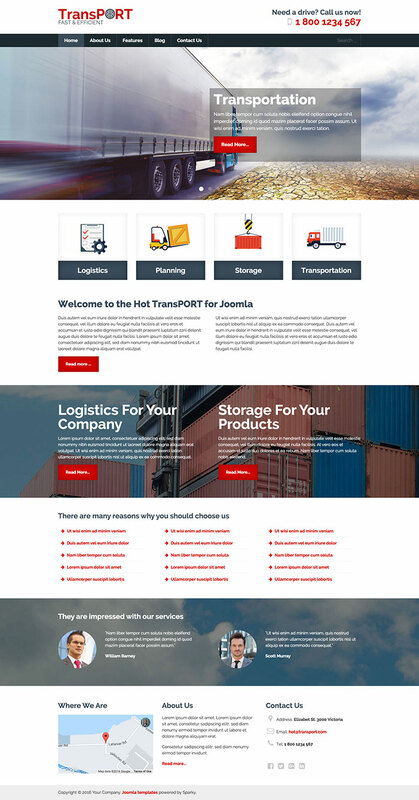 Another business template is our big collection of Joomla business templates. 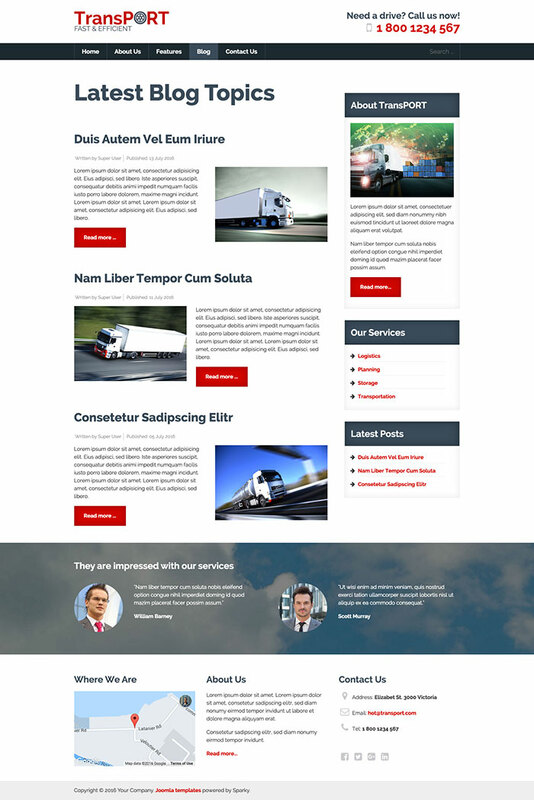 Our main focus in this template is the road transport of goods. From the oldest times, the road transport of goods was necessary in all parts of the world. We all know there are many small and big companies from this industry in all parts of the world. 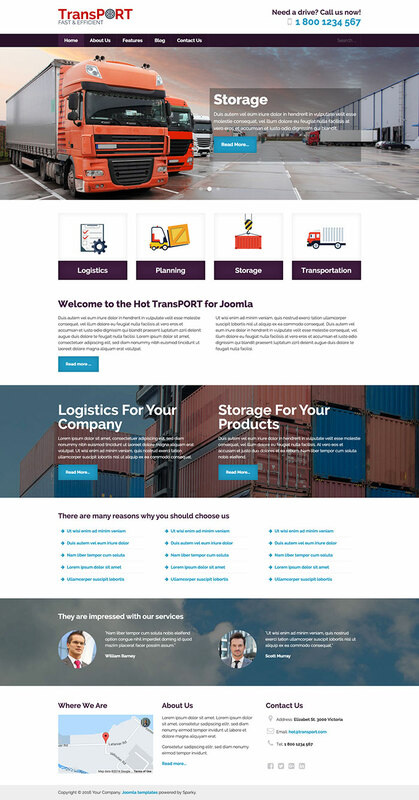 Therefore, we believe the Transport template will be useful for the development of many small and big Joomla sites. New menu type - Mega Menu and total control of all menus through the framework. You can set functionalities and style of all your menus and drop them directly into the layout. This template uses Mega menu which allows multiple levels of menu items to be included in one drop-down pane. 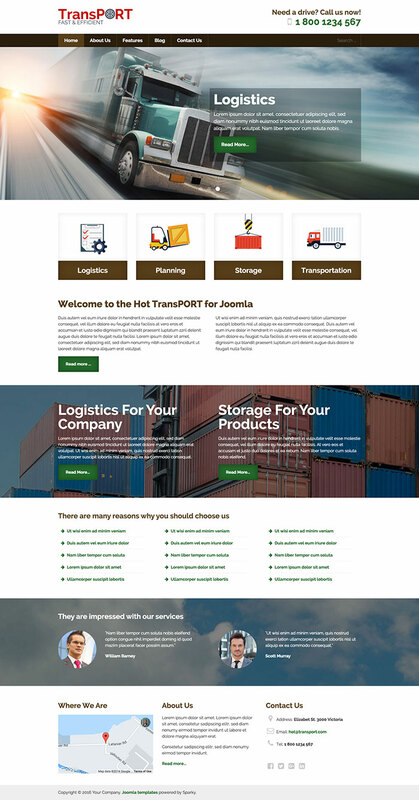 Also, you can include Joomla modules into the menu.